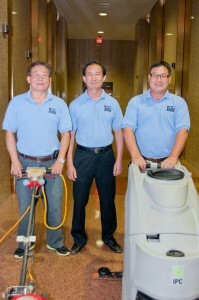 Home » Janitorial, Housekeeping & Cleaning Services » Why use a Contractor? Oftentimes when a company simply has an in-house staff member doing their cleaning, they get mixed results from day to day. If and when the work gets done, the designated staff member may not know the best methods or have the time to pay attention to detail. Special circumstances may arise – floors need polishing, spills on the carpet, restrooms looking questionable…and that’s when an important client pops in for a visit! The building may or may not present the best image at that moment. As a Tidy customer, you’ll never have to take that risk. You can have peace of mind in knowing that your space will sparkle every day and represent your level of professionalism. The extra hours incurred by your employees? The cost of chemicals and other cleaning supplies? If your employees are aware of the latest environmental regulations? What will happen if an employee is unaware of safety procedures and has an accident while attempting a special cleaning job? With Tidy as your contractor, all of the guesswork is taken out of the equation. Your service plan is custom-made for you. Whether that is a short or long term contract, a weekly or monthly service…all your bases are covered. We provide our own chemicals, follow all OSHA guidelines in our safety training, and keep up with the latest advancements in our field. 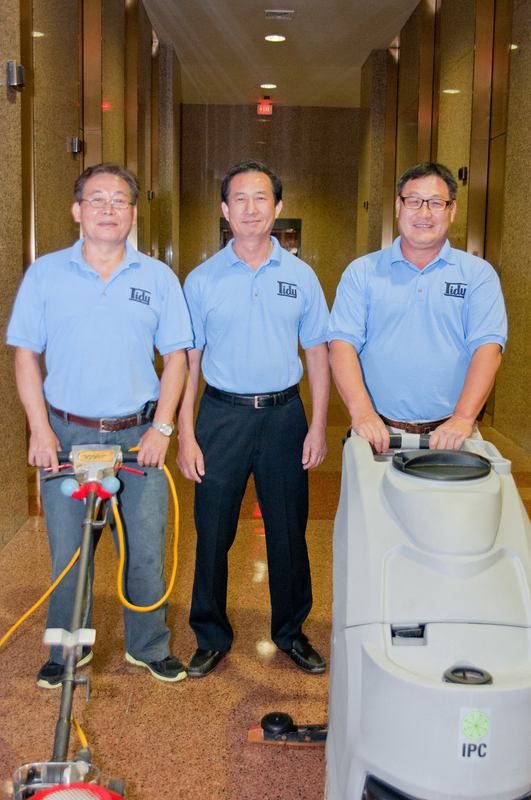 Because we bring more than 30 years of experience to the table, our crews are knowledgeable. Not only will we clean every corner of your space, we can also tackle those special jobs, such as making your marble floors shine like new. Is your carpet looking dingy? Commercial kitchen not quite ready for inspection? Tidy can handle that. Tidy supervisors remain onsite and perform frequent inspections to make sure the job gets done right. From the top of the stairs to the bottom of the baseboards, you want your space to represent excellence.